Create space, light and vastness using our light columns made of transparent fabric, available in round and square design. With an integrated washlight inside you can illuminate your event in all colors conceivable – color light turns into room light. 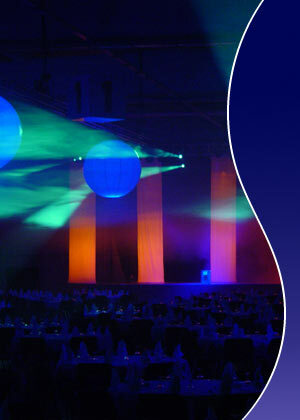 Depending on the atmosphere, the light columns change their character and thus can be used as an exceptional lighting object at your event as well as indirect room light for trade fairs or as an opulent illumination of your gala.